I remember Jihad S. Rashid. He was one of the twin brothers that lived around the corner from me in Englewood, a Chicago community. I remember his smile. Even then, Rashid had a positive aura. While connecting some 40+ years later, we reminisced about the beauty of community and what it meant to our well being. Although Rashid has lived in Jamaica and is well traveled, I discovered community is still important to him. His positive vibe has translated into serious work that impacts his present community in South Florida.”Catalyze – revitalize – transform” is the call to action by Rashid. “The name, KROMA, is derived from the word, “chroma” – the purity and intense saturation of color.” This color is expressed through local artists that have work space in 19 studios. There are two communal galleries to showcase artwork. 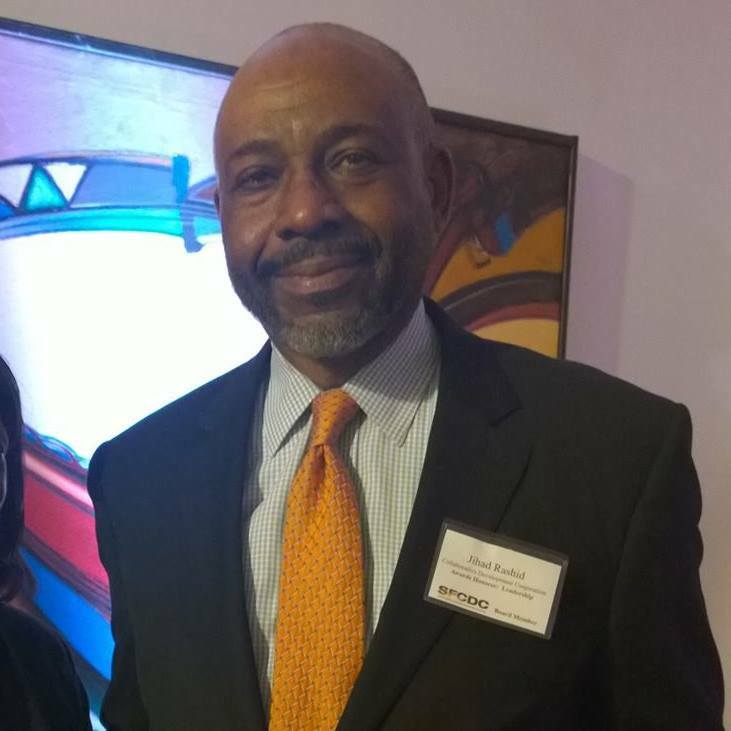 Rashid envisions a potential collaboration with the David C. Driskell Center. 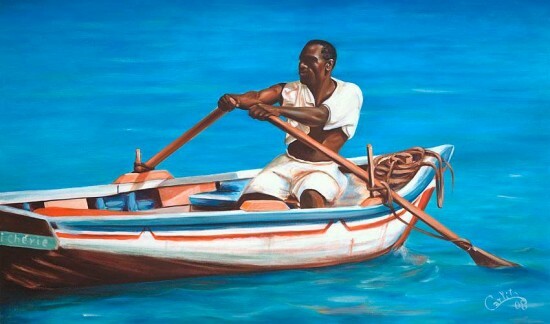 He hopes to establish an exchange program for young artists. ” I hope to travel to DC to the Driskell Center before Art Basel in Miami, which is the first week in December.” Art Basel Miami is part of the international art movement, which celebrates all genres of art. 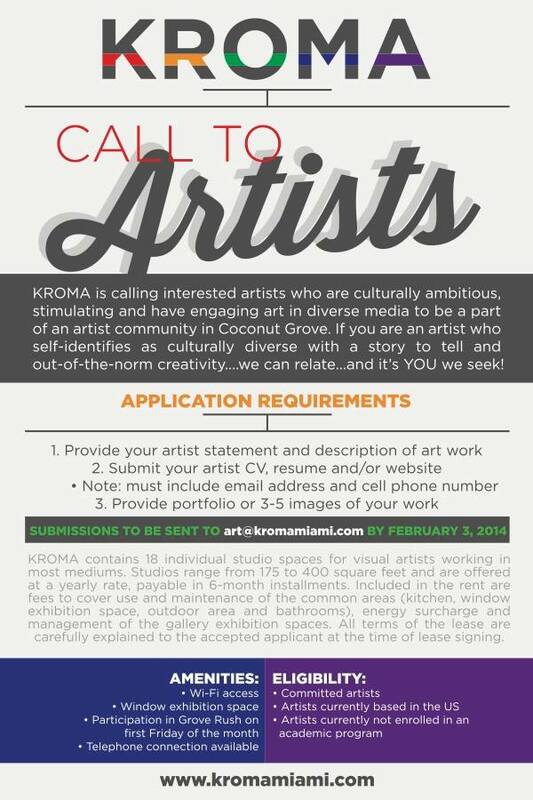 “KROMA… continues its innovative ways of promoting and curating art, emanating from the African/African-American Diaspora. 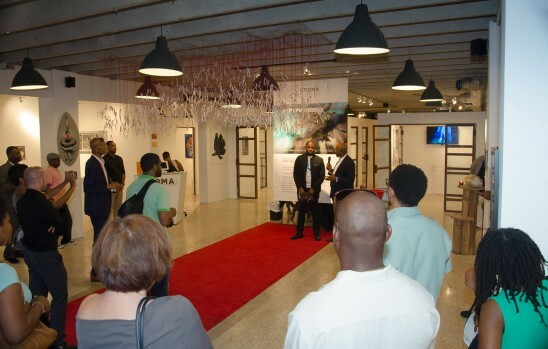 ” Hence, the Afro-Futurism exhibition. 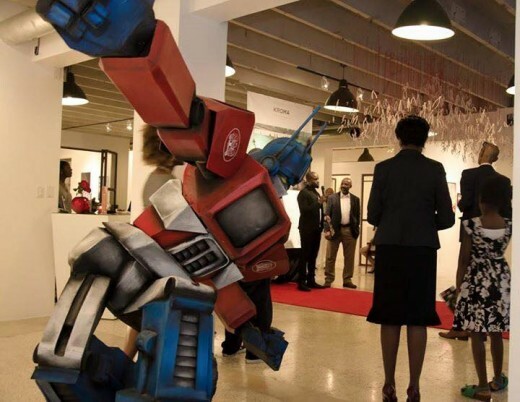 AfroFuturism Exhibition featuring Enter E.X.O. JS Rashid introduces Roye Okupe creator of first African Comic Book Super Heroes. 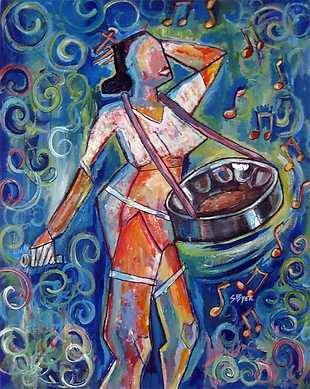 While the 2 galleries serve local artists and artisans, visiting artists are welcomed. KROMA also houses the Village West Visitor Center that serves as a resource facility for Coconut Grove happenings and other multicultural neighborhoods in greater Miami. As the community grows, the artwork and many events that take place at the art space reflect its rich history of creativity. KROMA is an integral force in the heartbeat of South Florida. For over twenty-five years Jihad S. Rashid has committed much his professional talents and expertise towards implementing “a shared vision for better quality of life for the residents of South Florida. Rashid a proven and effective administrator has accepted the challenge to strategically manage and coordinate private and public sector resources to accomplish community re- vitalization goals. With an extensive background as an administrator and entrepreneur, Rashid currently serves as President & CEO of Collaborative Development Corporation. Click here for KROMA website.